The green alga Chlamydomonas is widely used as an experimental model system for studies in cellular and molecular biology, and in particular plant molecular biology. This book is the only single modern compendium of information on its biology and in particular its molecular biology and genetics. Included in addition to much information on the basic biology is material of a very practical nature, namely, methods for culture, preservation of cultures, preparation of media, lists of inhibitors and other additives to culture media, help with common laboratory problems such as contamination, student demonstrations, and properties of particular strains and mutants. Casual users as well as specialists will find the book to be useful in many ways. Demonstrates protocols for laboratory demonstrations available for undergraduate teaching. Cell and molecular biologists, plant scientists and geneticists, and their students and technicians. 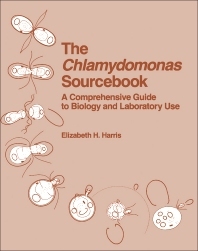 An Overview of the Genus Chlamydomonas. Culture and Storage Methods. Cell Architecture and Division. The Sexual Cycle. Motility. Metabolism. Photosynthesis. Organelle Heredity. Nucleic Acids and Protein Synthesis. Genetic Analysis. Mutant Strains. Procedures and Resources. Bibliography. Index.